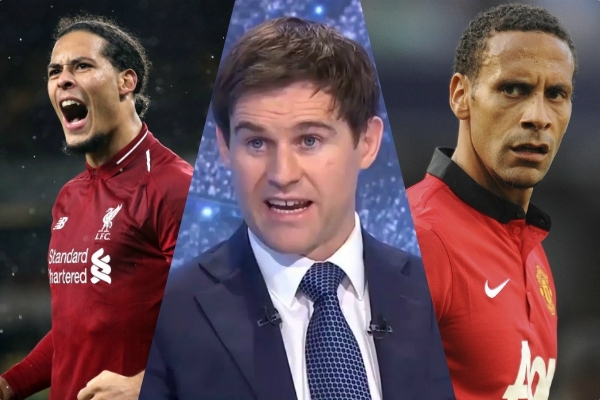 Virgil van Dijk has already surpassed the high bar set by former Manchester United skipper Rio Ferdinand, according to Kevin Kilbane. The Netherlands captain has been a revelation at Anfield by playing a titanic part in turning Liverpool into title challengers. Comparisons have come from all over the place since the £75million man; there’s been suggestions van Dijk is similar to Barcelona ace Carles Puyol and even more outlandish suggestions of Italy legend Paolo Maldini. But the focus has now shifted closer to home and certain pundits are comparing van Dijk to the likes of John Terry, Alan Hansen and now Ferdinand. “He’s going into the territory of the being the best defender I’ve seen live,” Kilbane told Irish radio station Newstalk – as per the Sport Review. It feels strange to agree with a former Everton player speaking about a Liverpool man – they’re usually a bit more bitter! I’m sure Kilbane’s comments will ruffle a few blue feathers on Merseyside.